Whether you’re green fingered, go green with envy when you see a glorious wedding bouquet or just love the sight of fresh flowers, you’ll enjoy our Floral Classes. 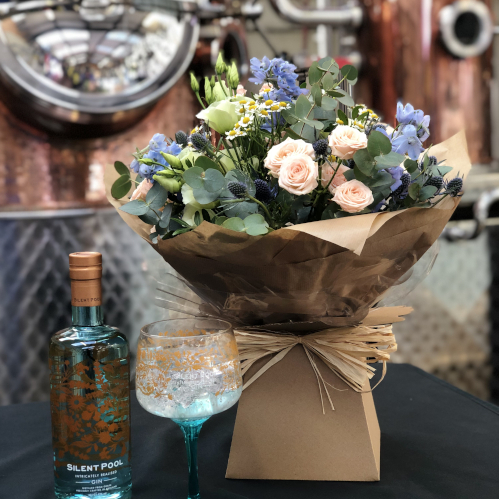 In Hand-Tied Bouquet Workshop you’ll sit down and enjoy a fresh G&T in a complimentary glass as you learn how to produce beautiful, hand-tied bouquets using a selection of seasonal flowers and foliage inspired by the botanicals used in Silent Pool Distillers’ range of gins. 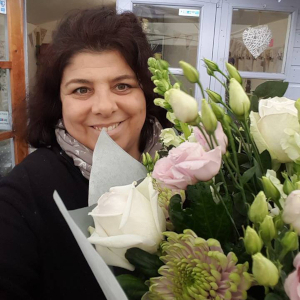 The workshop is run by the wonderful Juliette from Flowers by Juliette Loxwood, a local professional florist with over two decades of experience in floristry. She’ll take you through the process of crafting extravagant displays step-by-step and show you how to add a sprinkle of personality to every bouquet. You’ll also learn how to present, gift wrap and showcase them – before allowing your creativity to run wild by designing your own. Juliette’s workshops are fun and light-hearted, so you’ll never feel shy about asking for help. Once your fabulous floral display is complete, we’ll even supply you with a transportable box for you to take it home in to show your family and friends. And if you love the festive season, there’s also the opportunity to create Christmas wreaths during the winter months. If you love flowers, you’ll love our Hand-Tied Bouquet Workshop. 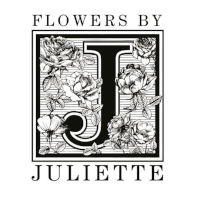 Juliette runs her business supplying flower bouquets and arrangements for many weddings and events and local businesses from her flower shed/workshop in Loxwood West Sussex and, she is a qualified florist with over 20 years’ experience in the floristry business. More information about our events and activities can be found here. Gear up for Christmas with Silent Pool Distillery and create the perfect festive accompaniment for your front door. 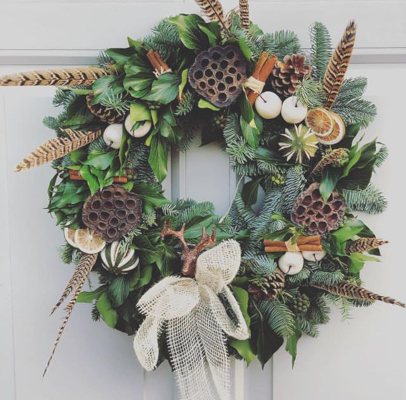 Enjoy a delicious G&T whilst learning how to put together your own traditionally mossed door wreath using pine, Ivy and holly. Get into the festive spirit decorating yours with a selection of natural trimmings inspired by the botanicals used to create Silent Pool Distillery’s range of gins, including scented eucalyptus, cinnamon sticks, orange slices and pine cones. A step by step demonstration from Juliette and all greenery and equipment is supplied although you may want to bring an old towel to put your wreath in your car to take home. We recommend comfortable shoes and although our distillery is heated, warm clothing dependent on forecast weather conditions. The majority of the course will be seated. We ask all customers to park in the public Silent Pool Car Park. A lovely two-minute stroll from us. Sorry, the distillery is a foodstuffs production area so, pets are not allowed onsite. Please do not leave animals in unattended vehicles. Our Distillery Tours are not suitable for the under 18s. As a result, our Tours and Events are only suitable for participants aged 18 or over. If you are lucky enough to look under 25 you may be asked to produce photo ID.